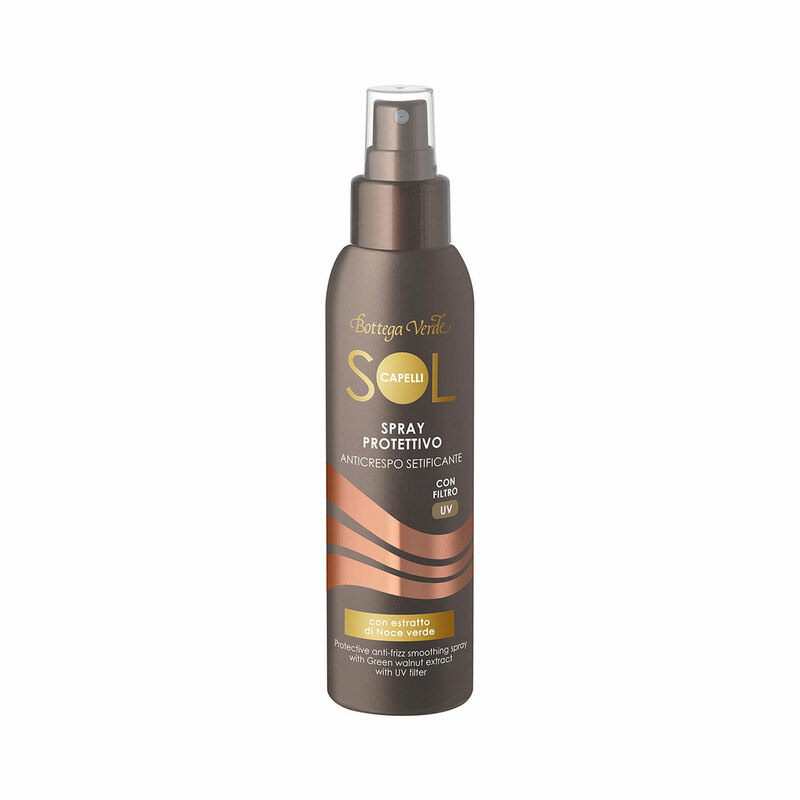 A practical spray to take with you to the beach to protect your hair from the aggressive effects of the sun, sea, and wind, thanks to its formula enriched with a UV filter, Green walnut extract, and Wheat sugars. Its light texture doesn¿t weigh your hair down. Just a few sprays is all it takes to give your hair shiny vitality, leaving it soft and silky even in the sun! A practical spray to take with you to the beach to protect your hair from the aggressive effects of the sun, sea, and wind. Its light texture gives your hair vitality and softness even in the sun without weighing it down! Direction for use:Spray onto damp or dry hair before and during exposure to the sun. Suggestions:For anyone who wants to protect their hair and keep it soft and shiny in the sun. Characteristic:Protective spray. Choose it if you want a product that contains no parabens, formaldehyde releasers, mineral oils or colourings.